Ever wonder what it would be like to wheel at The Hammers? Or test yourself on the red rock of Moab? With the introduction of this new class of vehicle, enthusiasts were encouraged to find out for themselves. The first six 'Spec Class' vehicles made their race debut at the 2014 Griffin King Of The Hammers presented by Nitto Tire, and then raced throughout the year at the Trail-Gear Western Regional ULTRA4 Series. These vehicles were also available to rent for recreational purposes and simply to learn more about ULTRA4 Racing. This was the brainchild of Dave Cole, Founder and CEO of Hammerking Productions, co-creator of the world renowned event, King of the Hammers. And when it was time to find the perfect ULTRA4 builder, it was not surprise that Dave commissioned one of the best in the business, Randy Rodd of Jimmy’s 4x4. The concept was to build tough, reliable vehicles that would allow someone, almost anyone, to experience the Every Man Challenge at King of the Hammers at Means Dry Lake Bed at the Johnson Valley OHV Recreational area in California. The idea was simply revolutionary and has only proved to launch ULTRA4 to the next level. With a passion for building the world’s most extreme off-road vehicles, and they’ve built a few, AIRAID-supported Randy Rodd and the team at Jimmy’s 4x4 pride themselves on quality and integrity. 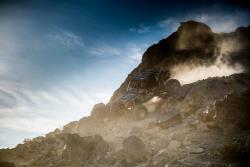 With real world experience in off-roading their number one goal is to make their customers off-road dreams a reality. In addition and maybe because they’ve got the desert life blood coursing through their veins, they make it a priority to support as many drivers and events as they possibly can. 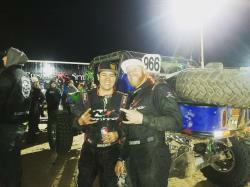 At the 2017 Nitto Tire King of the Hammers Presented by Optima Batteries, the team here at AIRAID had a chance to catch up with some our favorite race teams and ULTRA4 car builders. Imagine our surprise when we walked into Jimmy’s 4x4 booth and were told that owner, Randy Rodd, was out testing a car. The owner of the shop, Randy Rodd, in fact opened Jimmy’s 4x4 literally just behind his pop’s transmission shop. Randy, born and raised in Cortez, Colorado, worked with his dad, Jim, at Jimmy’s Transmissions, before electing to explore other avenues of interest. In an attempt to get his son back into the family business, dad offered up a solution. He offered to help Randy open an off-road shop. Randy wasn’t readily sure about his dad’s offer. That was until he took part in the Easter Jeep Safari, in Moab, Utah. There he saw seemingly limitless possibilities with Jeep modifications and incredible fab work. Having an “aha” moment, he took dad up on that offer and opened Jimmy’s 4x4, conveniently located right outside Jimmy’s Transmission, or rather dad’s, back door. Randy admitted that he's not the biggest fan of Jeeps. But at that time, as the off-road industry progressed, it seemed Jeeps were the choice to build for competition. However, they weren’t really Jeeps anymore. Virtually all the original equipment had been cut away. Randy got to thinking and before long he realized that building vehicles from scratch would make the build process actually easier. This allowed both builder and customer greater opportunities for custom modifications while increasing the appeal to more off-road enthusiasts. As the result of a booming business, along with the rapid growth in off-road racing, Randy moved away from the bent tube chassis and redirected his attention and design into the laser cut and CNC built tube chassis. He positioned Jimmy’s 4x4 ahead of the curve using this technology seeing the direction the industry was headed. Trophy truck and short course off-road racers had already transitioned to this concept of technology. A veritable trend setter in 2014, Jimmy’s was the first to introduce a single seater IFS car, that they built for Loren Healy. On the opposite end of the spectrum, that same year they built a new car for Derek West who wanted to race a car that the everyday person could go out and buy. Derek’s car was the prototype of a buggy that Jimmy’s sells now. Today, Jimmy’s 4x4 has become a full service shop owned and operated by Randy and his wife Cottin, offering everything from chassis, parts, service, and expert advice, to custom design done by Head Designer, Jason, along with Tyler spearheading the fab work done at the shop. Jimmy’s is home to some of the most successful ULTRA4 teams including 2014 King of the Hammers champion, Loren Healy, multi-time Ultra4 series winner, Derek West, cross-over athlete, driver, and professional fun haver, Vaughn Gittin Jr and ULTRA4 and desert racer, Andrew McLaughlin of Letzroll Off-Road. 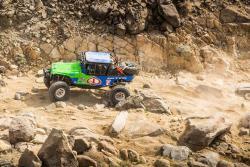 Competing in the 4400 Unlimited Class, ULTRA4, the only rules are safety related and the requirement for a transfer case with low range. As the 4 wheel drive cars get faster and faster in the desert, IFS technology has proven that it is here to stay in the rock crawling and desert racing arena. The Jimmys chassis can handle the abuse of the open desert and the brutal rocks. “As the sport becomes more competitive so will the vehicles. We are at the tip of the spear and expect an excellent season. 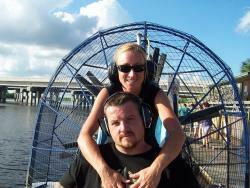 Jimmy’s was the only place to go for a proven IFS chassis,” Andrew McLaughlin said. Letzroll Off-Road located in Mesa, Arizona, is currently the only authorized dealer of the Jimmy’s 4x4 chassis and they feel pretty proud to be a part of the Jimmy’s brand and family. The entire Jimmy’s team is a close-knit group, more like extended family members. Loren Healy was actually one of the shop’s first customers and the very first buggy to leave the shop. It’s this sense of pride and loyalty that keeps Randy and the team going. He’s got a great group of inspired people that love what they do. 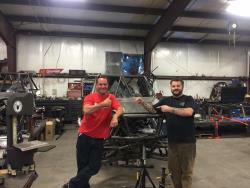 With heavy hitters in the off-road industry known for their prowess behind the wheel like Loren Healy and cross-over athlete, Vaughn Gittin Jr., as well as being the builder of the King of the Hammer’s Spec Car, it seems that the demand for Randy and the Team at Jimmy’s 4x4 Off Road is higher than it’s ever been.